London : A new low-cost biochip-based blood test that can identify people at a higher risk of Alzheimer’s disease in just three hours has been developed. A new study showed that the test, which allows multiple tests to be run on one blood sample, was as accurate as existing molecular tests that analyse DNA. “This is the first time that we have used this biochip technology to test for an increased risk of Alzheimer’s disease,” said Emma C Harte, a research scientist at Randox Laboratories in the UK. “This type of testing is important in our quest to understand and diagnose Alzheimer’s and empower patients to understand risks, consider medication, and even make early lifestyle changes,” said Harte. 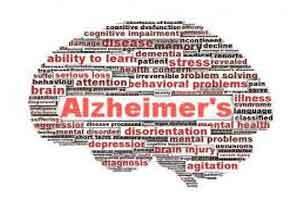 This test detects the presence of a protein in the blood produced by a specific variation of the apolipoprotein gene (ApoE4), which is associated with increased risk of developing Alzheimer’s disease. The apolipoprotein gene is inherited from each parent and when a patient inherits the ApoE4 variant from one parent they have a three times greater risk of developing Alzheimer’s, whereas a patient who inherits ApoE4 from both parents is eight-to-12 times more likely to develop the disease. To verify the accuracy of the biochip test, 384 samples were analysed and results compared to those from a standard molecular diagnostic test. Researchers from Randox Laboratories along with those at the Medical University of Vienna found that results from the two tests were in 100 per cent agreement. As biochip tests allow clinicians to quickly run multiple tests on one sample of blood, this new test is also faster and more affordable than the standard DNA test, producing results in only three hours. This enables doctors to predict the risk of an individual developing Alzheimer’s disease. “Pairing this test with medical and family history for risk of Alzheimer’s disease has the real potential to advance personalised medicine,” said Harte. “This fast, accurate testing will allow doctors and patients to make more informed choices earlier to potentially slow the possible progress of Alzheimer’s,” she said.